A selection of traditional Wet and dry bulb Mason’s hygrometers. Comprising Moulded plastic wall mounted case- two thermometers mounted on a silk screened scale - plastic reservoir and cotton wicks. Supplied with wet and dry bulb tables for determining humidity levels. 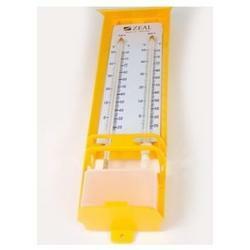 We are providing our clients with a wide range of Conductivity Meter. Known for its reliable and accurate measurements, the conductivity meter offered by us is designed with contemporary techniques in accordance with the set standard of market. 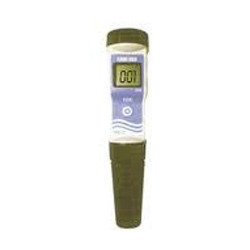 We offer this conductivity meter in diverse specifications and deliver within the promised time. Offered conductivity meter is tested in terms of quality in order to supply a defect free range. Due to our strong well experienced and well built staff we are trading & supplying Digital TDS/ Conductivity. Comes with Large display screen for conspicuity of figures, the offered product is designed using high grade material & techniques keeping in mind the set guidelines of industry. This product is checked on various stages by our quality experts for delivering a defect free range. Clients can avail this product from us as per their requirements at nominal prices. 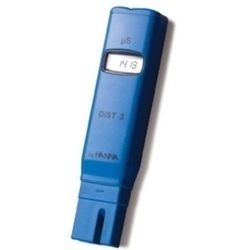 Looking for TDS Conductivity Meter ?